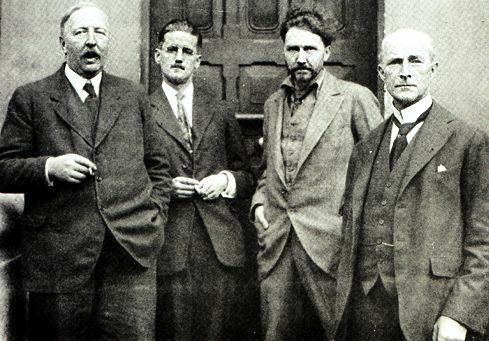 How It’s Irish: Bloomsday celebrates the day the James Joyce’s Ulysses, June 16. All the event sin the book take place on that day in 1904. Today is June 15, and it’s already underway…I’m heading to the Bloomsday Celebration put on by the Irish American Bar Association of New York, which takes place in the Supreme Court ceremonial Courtroom and features a reenactment of the 1921 blasphemy trial in which the publishers were fined $50. Here are some of the events taking place this weekend– if you go, report back! “The first pint of Guinness I poured that morning was for Frank McCourt at the reading,” says owner Irishman Danny McDonald. Usually Colum McCann coordinates the readings that start at 1 p.m., … Past readers have included Frank and Malachy McCourt, Peter Quinn, Pete Hamill, Sam Shepard and Stephen Rea. 2. The session at Lillie’s, a lovely bar and restaurant at 13 East 17th Street between Union Square Park and 5th Avenue. Dan Neely, NYIA blogger and artistic director of the the Washington Square Harp and Shamrock Orchestra runs this Saturday session from 4-7. His email announcing this year’s session is a very clever parody of Ulysses, included below. It’s really brilliant so do read more and soak it in! The session this Saturday features James Keane. ….then I put the pint to my mouth and drink it back while chatting away under the light of the flat screen and then ask for another and draw it close letting the foam stick to my mustache with the tunes still going like mad in my head Dan you have really lost the plot on this one yes I suppose yes definitely I have Yes. When asked to participate, Flanagan said, “Yes, I said, yes, I will, yes. I will and I can and I do,” quickly riffing on the famous passage. 4. Staten Island OutLOUD presents their 10th annual Bloomsday celebration, 4 St. Pauls Cafe, 8 pm. Readings and live music by Guy Klucesvsek. 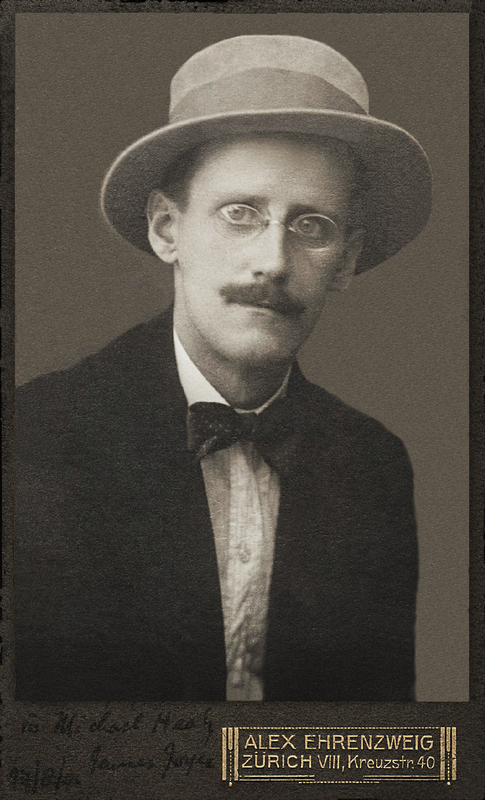 Bloomsday celebrations are not limited to NYC of course– the Rosenbach Museum and Library in Philadelphia is displaying the original manuscript, and there are events going on all around the world, many listed at this handy Bloomsday site. –C’mon, let’s start a tune. C’mon, let’s start a tune then, shall we? Solemnly he sat back and filled his bellows. He adjusted his bag and tuned thrice the drones, the chanter and the awaking tunefulness. Then, catching sight of Dan, he bent toward him and suggested a set of tunes. Dan, just happy to be out of the house, leaned his arms on the top of the banjo and looked agreeing into the face that was asking, almost cephalopodean in its expression, and at his luxurious mop of brown hair. –Let’s do it. Let’s do it! he said eagerly. And so they did. The first tune and then the second. The music lifted the whole establishment and it was mighty. After a few times around, Ivan looked over at Dan and nodded to bring the set to an end. Boisterous applause. –That last one, a nice double jig, that. Two dactyls right at the top, but then also at the turn. It has a Galway ring, doesn’t it? Tripping and sunny like the bucks themselves. –Yea, where’d you get it? Before the answer could be tendered, the din of hipsters and photography at the bar’s end momentarily interrupted the flow. –Bloody punters, bursting with indigestion and money. And always with cameras. But what could they do? Ivan stared over in scornful silence as the seisúneers chatted about this and that. At least nobody was asking about the McComiskey/Bell chairs. A kicked over beer restored focus as everyone scurried for napkins. Looking behind the bar, Dan shouted. –Hey, can I get something to clean this up with? Ronan tossed a clean, green bar rag, faded from use, over to Ivan. He looked at it and blotted the spill. –Ah, and it’s the correct color towel for our Irish musicians: shamrockgreen. And that tune, now. The shamrockgreen tune. The bellowstightening tune. Ah, Dan, tu stultus es, it’s a great tune – it’s mighty craic but I don’t know where I got it. But if I start that one off that one album and then the one that’s usually followed by that other one, named after that guy, could you get through it? The performance ambled around on wobbly legs, the result of rushed tempo and intonational discrepancy. –What mistakes? A man of genius makes no mistakes. His errors are volitional and are the portals of discovery. And look on when turn becomes the tune agai’n. Dan and everyone else smartened up, and the next set was better for it. And the next and the next. And then it was time for a song. –Donie, will you sing a song? As 7:00 grew close, everyone was happy with the way the tunes were going. An empty pint glass was borrowed from the bar and placed in the middle of the circle. A blast of reels was suggested for the final and then the tunes started. Up and down the melody we played tune ornaments and variations then the food showed up as one crowd left and another arrived Ronan turned the music back on as Ivan asked did you see those people who came in around 5:30 yes I did off to get the spondulicks and leave the empty now filled pint glass back at the bar hey there hows the form now move it I want some nachos and fried cheese by the way did you see that thing on youtube or was it Facebook yeah it was so funny is that my fiddle case there with just the last few stragglers hanging out I hear God help the world if all the players were his sort of session killer funny I didn’t mind him at all yes I suppose I will have a final pint can I get you one too yes are the chairs folded up yep and leaning up against the wall good night safe home hey not a bad night over on Queens Boulevard last Tuesday no not bad at all then I put the pint to my mouth and drink it back while chatting away under the light of the flat screen and then ask for another and draw it close letting the foam stick to my mustache with the tunes still going like mad in my head Dan you have really lost the plot on this one yes I suppose yes definitely I have Yes.